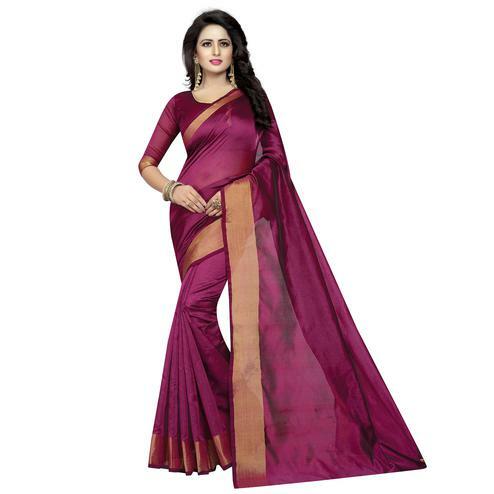 Wine color sarees are a great choice for that style statement entry in any function. 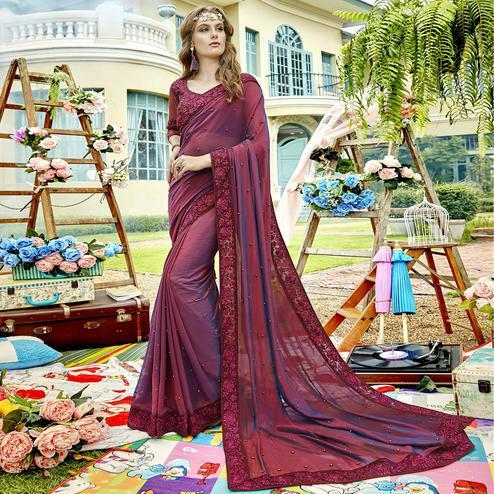 They look royal and vibrant at the same time. 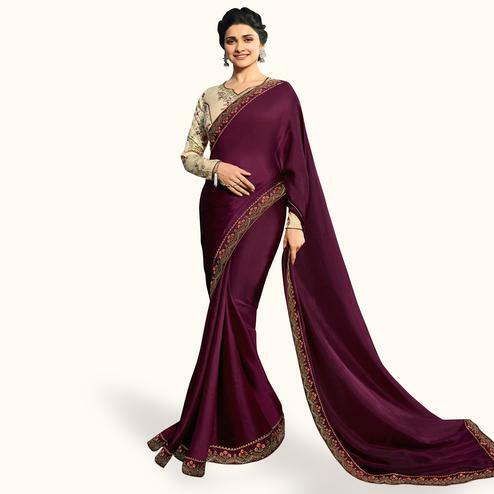 For those elaborate wedding festivities or auspicious occasions, wine color sarees fit in perfectly. 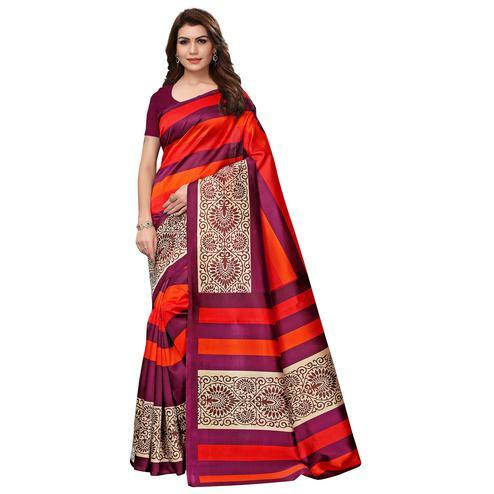 You could also opt for this color for festivals such as Deepawali or Karwa Chauth. This color is also a great choice for those family dinner gatherings. 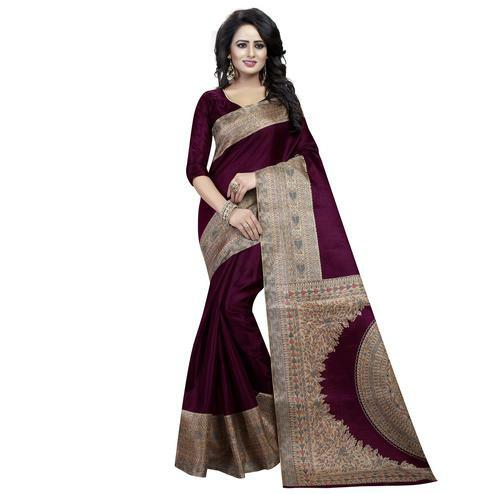 When it comes to office parties themed around activities, what better way to dress up than a warm wine colored saree that is both festive and formal. 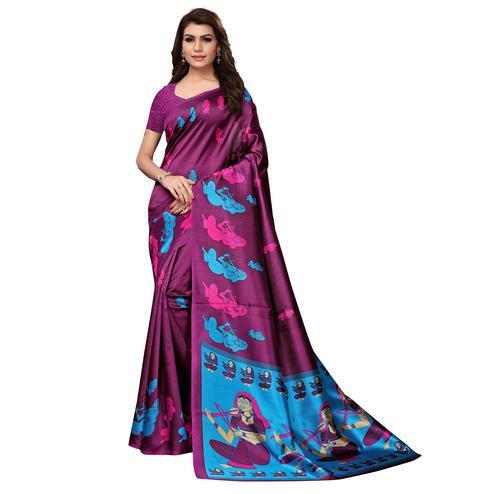 Peachmode curates the perfect ladies sarees to fit your taste. 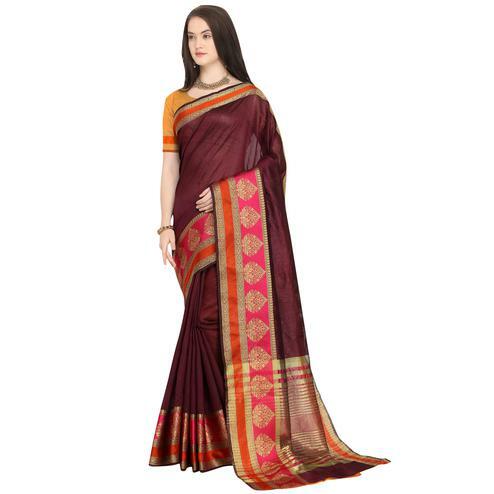 Our art silk sarees are great for ethnic wear. 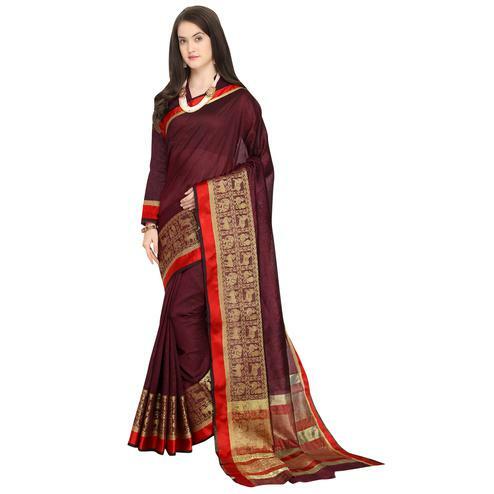 Our stunning collection of wine sarees with golden border would make you look ravishing at those evening or cocktail parties. 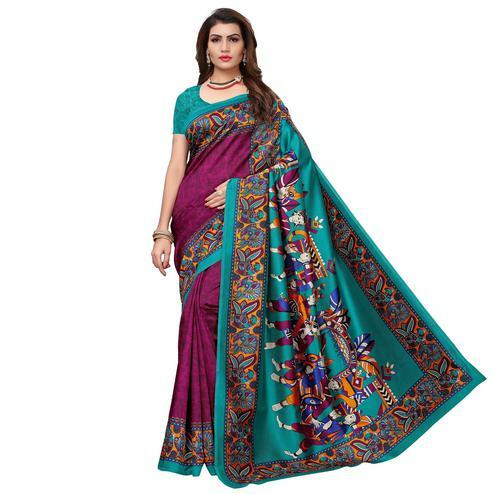 You can choose these wine sarees in art silk, cotton silk, pashmina silk, satin silk, georgette, chiffon and many other fabric varieties. 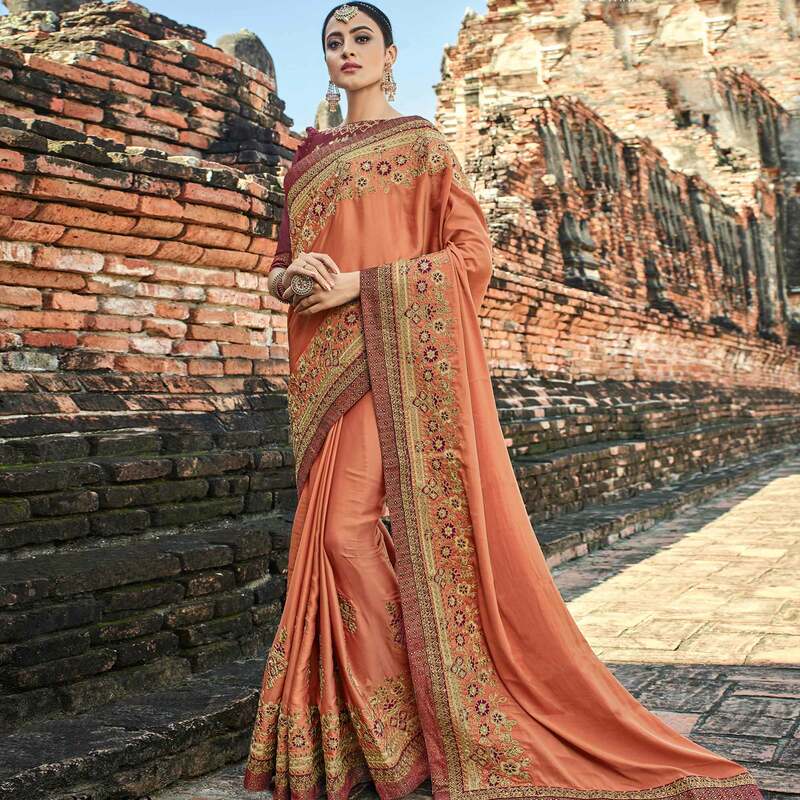 These sarees come with zari borders, tassel designs, motif work, attractive prints, embroidery- you name and we have all the styles for you! 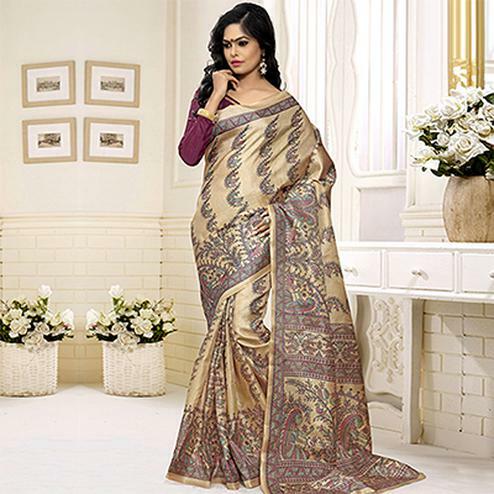 Pick one from each of our astounding saree collection and you surely would be dressed to impress! 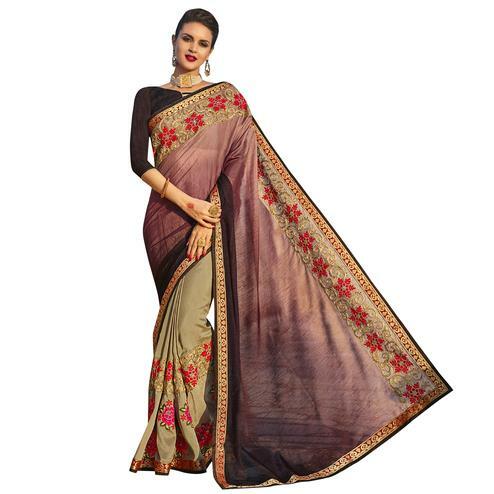 Team your wine saree with a golden blouse or a brocade blouse or with hues of beige. 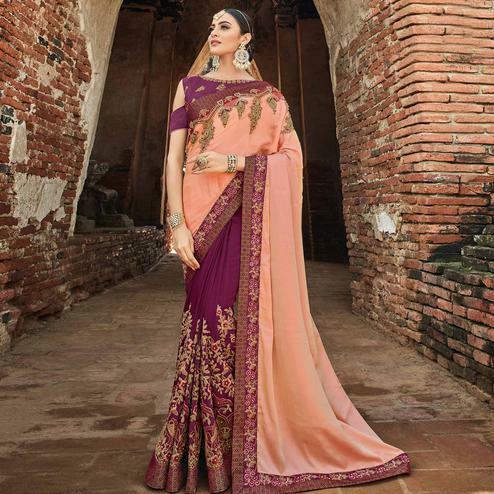 Accessorize your sarees with oxidized jewellery or studded neckpiece to ace that ethereal look. 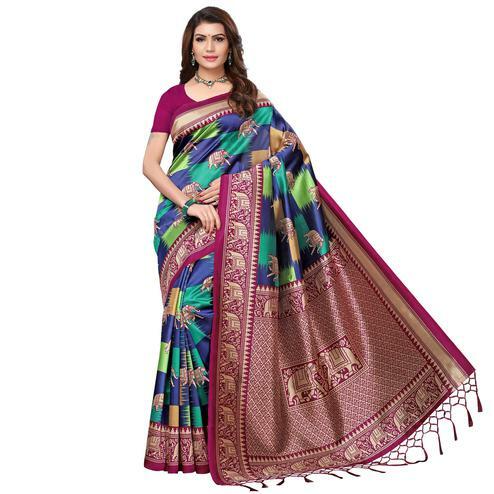 You could also accent it with a diamond set or a kundan set. 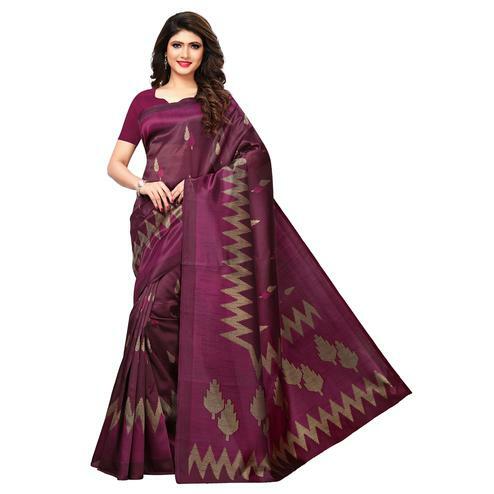 So prep for your next saree spree at Peachmode’s online shopping and get unmatched quality and designs at the convenience of your doorstep.